The Hundred Dresses is a powerful book to read and share. Eleanor Estes (1906-1988) was awarded the Newberry medal for Ginger Pie. Three of her other nineteen books—The Middle Moffat, Rufus M, and The Hundred Dresses—won Newberry Honors. The Hundred Dresses has never been out of print. And don’t think that silver sticker has anything to do with it—no medal can save a book from going out of print. This book strikes a chord with children. Perhaps it was Estes’s background as a teacher and librarian that afforded her that ability. Besides being a story about the timeless topics of acceptance and kindness, it’s one that nearly everyone can relate to. Estes’s writing is absolutely lovely. She’s created sympathetic characters, a familiar setting and uses clear language. Louis Slobodkin (1903-1975) illustrated nearly ninety books. 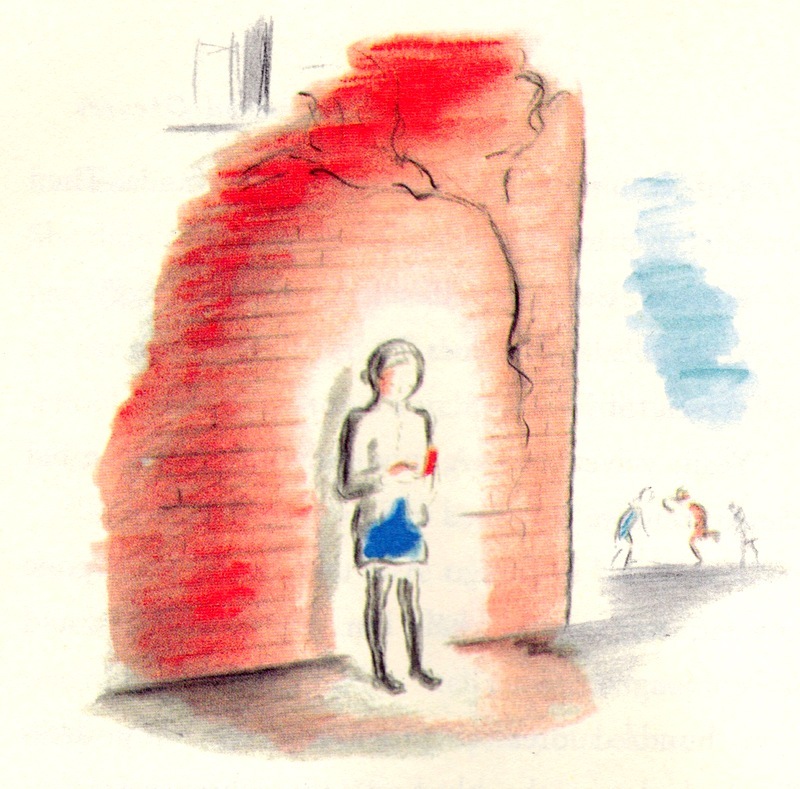 In 1944, he was awarded the Caledecott Medal for Many Moons, written by James Thurber (1894-1961). His art in The Hundred Dresses switches between black and white and color. His lines and colors are sparse giving you enough information, but allowing space and light to filter though. This book is a wonderful read-aloud for younger children—at just ninety-six pages and widely illustrated—and something the whole family can share. This story provides such a fantastic opportunity for discussion that when giving this book to a child to read alone, I feel strongly that adults should read it first. 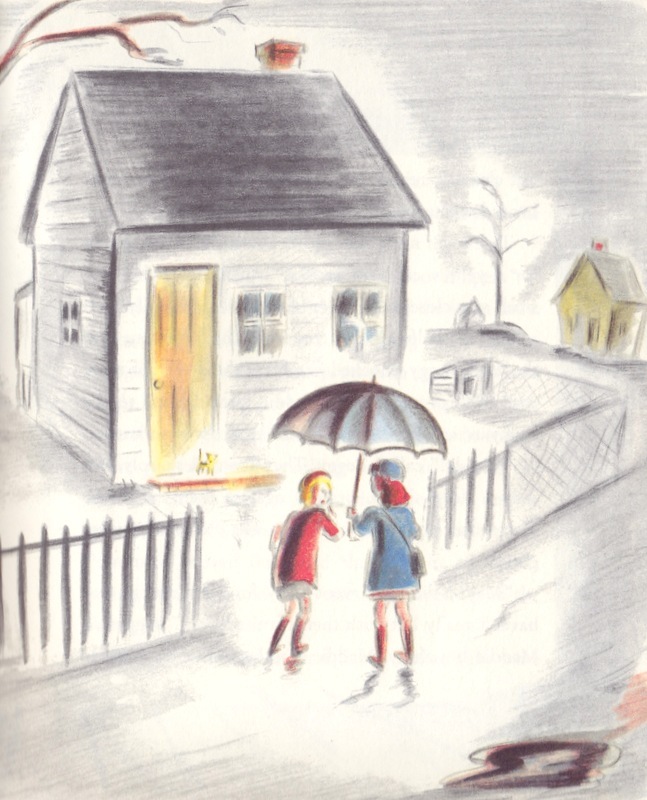 Peggy and Maddie are the first to notice Wanda Petronski’s absence because she’d made them late for school. They’d been waiting for her on their walk to “have fun with her.” They didn’t realize she’d already been absent for two days. Wanda lived with her father and her brother Jake in Boggins Heights. As poor, Polish immigrants, the family was often teased for their “funny” name and obvious lack of means. Mostly, Wanda kept to herself. Mostly, the girls in class didn’t notice her: they noticed her outside of class, on the way to school, and in the yard during recess. All the girls talked to her, or at her, but Wanda didn’t have any friends. 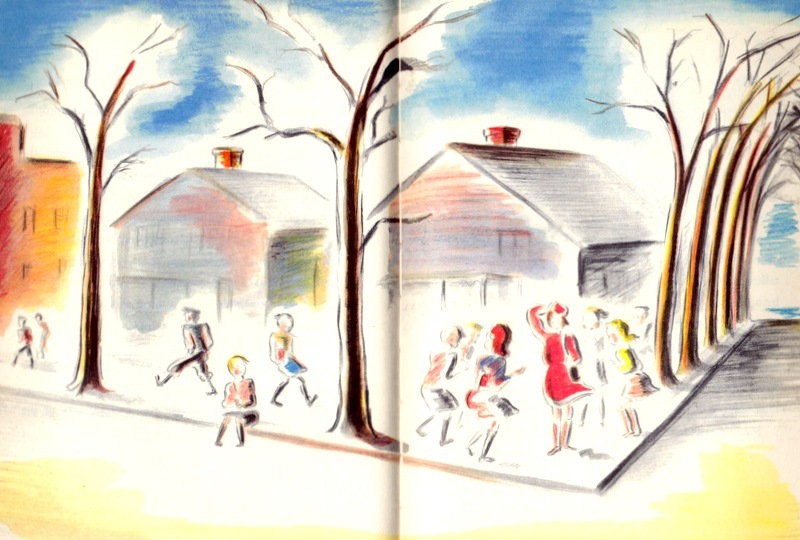 It all started the day Cecile came to school in a brand new red dress, with socks and cap to match. It was a beautiful October day and all the girls had gathered around to admire and compliment her. Some discussed how they would be getting new dresses too, others talked about new dresses they already had at home. Everyone was in good spirits. Even Wanda, who rarely smiled, seemed happy; she whispered something to Peggy. The girls had seen Wanda every day in the same faded, ill-fitting, blue dress. Surely a girl with a hundred dresses would not wear the same one every day! Thus began the laughing. And the teasing. From that point forward, Wanda faced daily taunts about her hundred dresses. The students were abuzz over the drawing and coloring contest. The boys were to design motorboats, the girls designed dresses (remember, this was written in 1944). Peggy would probably win the girls medal since she drew better than anyone in the room. Wanda was still absent the day of the contest. When the other children entered the classroom they were stunned. 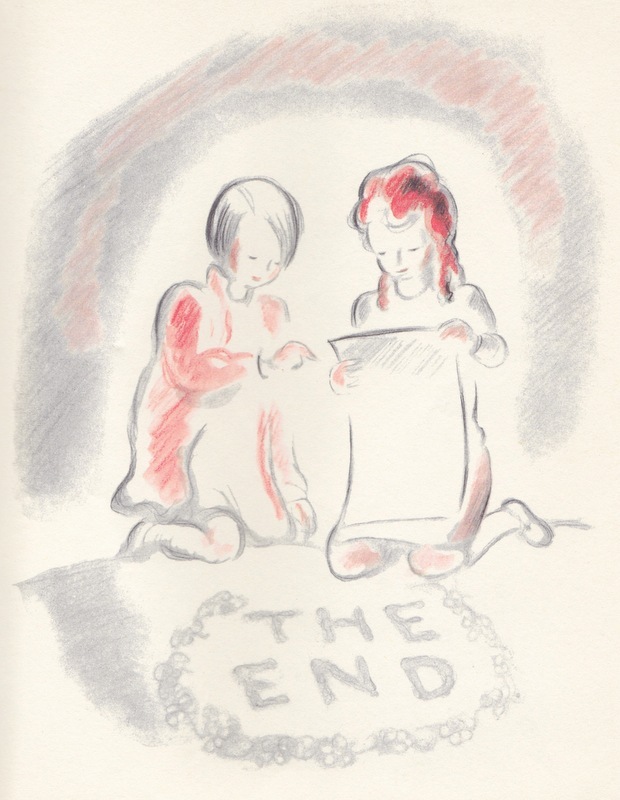 Drawings covered the walls, the blackboard, and the window ledges; one hundred different dresses, all drawn by Wanda Petronski, illuminated the room. Wanda won the contest but she was not there to hear the applause; she was not there to receive the award. Miss Mason instructs the students to take their seats so she may read them a letter from Wanda’s father. The teacher, distressed by the letter, asks the children to think about the role they may have played in making Wanda, and the Petronski family, feel unwelcome and unaccepted. Maddie takes this especially hard. 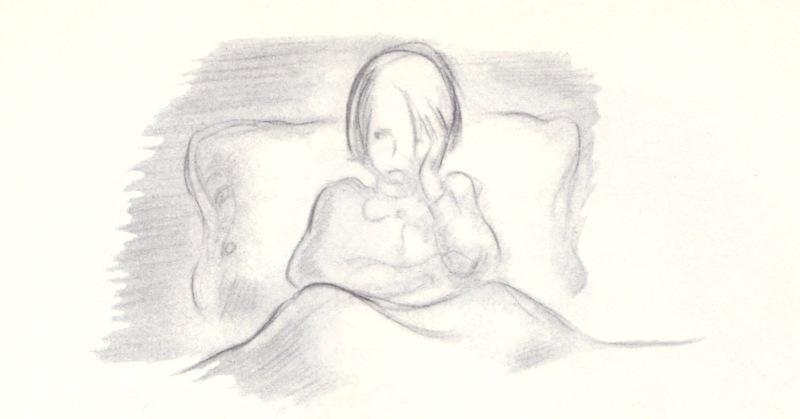 She and Peggy go to the Petronski house hoping that perhaps the family has not yet left. Maybe they’ll see Wanda and tell her she won the contest! They want to tell her how beautiful her one hundred dresses are, and that they are sorry for their thoughtless behavior. Maddie vows to never stand by and allow another person to be teased again. Though she had never instigated the taunting, wasn’t she also to blame for not stopping it? She and Peggy decide to write a letter to Wanda. They tell her about school, how much everyone liked her dresses and that she won the contest. They asked if she liked her new teacher, her new home, and they ended the letter with several X’s for love. 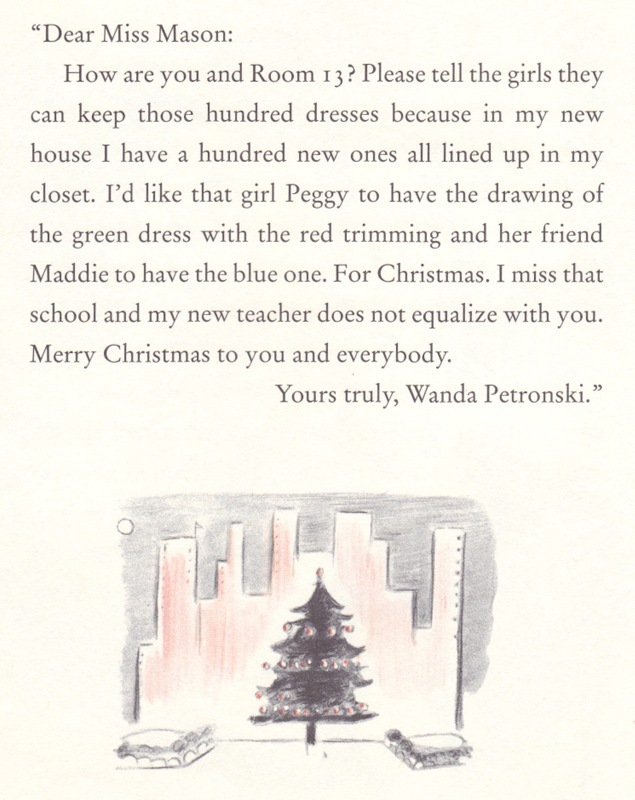 As Christmas approaches, the class receives a letter from Wanda. The children had mostly forgotten about her, including Peggy. Maddie, however, has been consoling herself to sleep each night by making speeches defending Wanda, putting a stop to the teasing. Maddie cherishes her drawing. She takes it home, pins it to her bedroom wall and admires it. Tears in her eyes, feeling as though her behaviors may have been forgiven, she notices a resemblance in the drawing. The girl wearing the blue dress looks likes Maddie! When she rushes to Peggy’s house to tell her, the two girls notice that Peggy’s drawing looks like Peggy too. The Hundred Dresses is powerful book to read and share. It’s always important to be kind, and sometimes necessary to remind children and adults how their words and actions can affect others. And while actions can never be reversed, it’s never too late to make a change. I love this book and just bought it as a gift for a friends kids birthday party. Good choice!